Let’s say you won the lottery. Or signed a multimillion dollar contract to play sports, sing, write, or whatever it is you like to do. What’s your first thought about what you’re doing with the money? Not what you’re going to do apart from the money, or because of the money—such as quit your job or whatever else may be near the top of the list. What is the first thing you are going to do with the money? Is it a purchase? A dream car or home? Is it charity or good works? Is it paying off your house or some other debt? Is it how you’re going to divide it up into savings and investments and manage it? When I spin out this particular fantasy, I usually start with that last point. Depending on how big a windfall I am dreaming on that particular day, I start by mentally dividing into how much would have to go to taxes, how much I’d put into stock investments, how much I’d put aside for private business investments, how much I’d try and set up in a charitable foundation, and yes, finally, how much I’d put into a straight slush fund with which to go to town. I’m pretty sure this makes me a personal-finance geekoid. Despite the problem of having to go through life as a geekoid, this is a positive sign in terms of where I am in my personal-finance education. No matter how much money you have, the basics still apply—and are still important. You need an understanding of how you are going to manage your money. 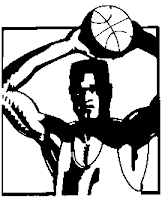 So it was nice to see someone who hit big, without an obvious grounding in personal finance, manage his money: basketball great, Shaquille O’Neal, featured in The Dunk Man, in the June 30, 2008 issue of Forbes. Shaq started a shoe business featuring low-cost basketball shoes, including a popular line called the Dunkman that is sold in low-cost retailers like Payless ShoeSource. This year, the business is projected to sell about 7 million pairs of shoes; and Shaq will earn $6 million or so in salary and royalties (apparently including $2 million in annual royalties for a licensing deal in China). Shaq owns 150 car wash businesses. Shaq owns 8 gyms in partnership with 24-Hour Fitness (that are each making 30% operating margins on up to $5 million annual revenue). Shaq has a real estate portfolio worth $50 million. Shaq’s shoe business came out of a cute story in which he was approached, early in his career, by a mother who chided him and other NBA players for not putting out an affordable sneaker. His Dunkman shoes retail for about $35—relative to $140 for some of the shoes put out by other top NBA stars. Shaq had some notable failures too, such as a failed shoe venture with Reebok and a failed dot-com venture to sell apparel and shoes online. Undoubtedly, he could afford to take risks and bounce back because of his high income. But from my perspective, he has also thought a lot about his future, his post-basketball days, and how to manage his money. I wish windfalls on many of you (and me!). If it happens, take some money lessons from Shaquille O’Neal: even with many millions, you still have to manage your money. Sorry folks -- the two links to the stories on lottery winners and NBA players who couldn't hold onto their money were not entered correctly yesterday. They should be fixed now. Is there anything more fascinating than tales of people who had it all and lost it all. Maybe that's just me being evil, I don't know. The first thing I would buy is a house. The rest, I would invest. I probably would never buy a new car lol. "All day long I'd biddy biddy bum...wait..I do that now..."
J/k. I am one of the rare few who would keep on working because I love what I do with all my heart. Shaq is truly an oversized story. Oh to be gifted like that. Great blog! Found you thru MoneyEnergy.com and I'll be back! I'll get you on my blogroll too!